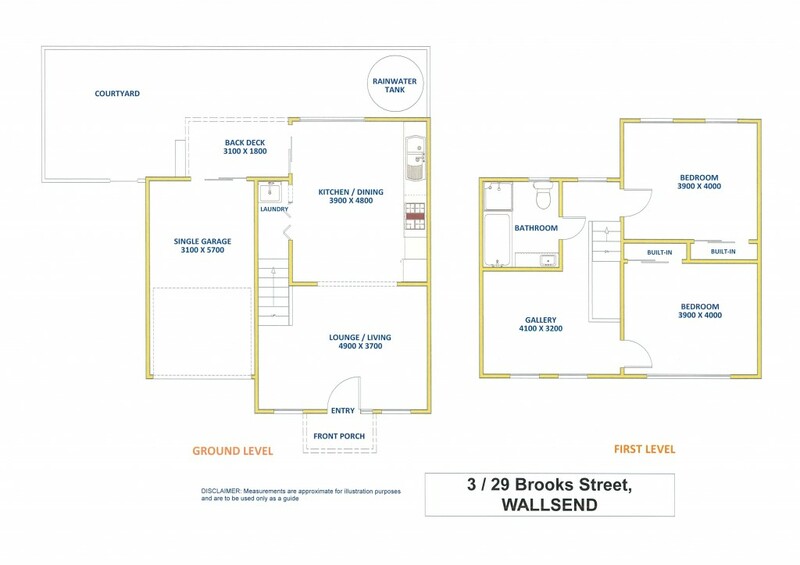 This excellent property has been built for convenience with a large open plan design. Kitchen/dining has a pleasant north aspect with gas cooking, dishwasher, ample cupboard space and open easy use benches. From the dining room there is a large formal lounge with a front porch entry. Upstairs you will find two large bedrooms with built-in wardrobes and there is also a pleasant gallery level area which can be used as a second living area with options. Centrally located is the master bathroom with a full size bath, separate shower and vanity with modern floor and wall tiles. There is a lockup garage with auto door and access to a private fully secured private courtyard. This townhouse has a rent potential of $395 per week. If you have been searching for a property with the convenience of level walking to town where all services are available this is the one for you. Call exclusive listing agent Allen Reece on 0409 814 400 or contact the sales team on sales@reecerealty.com.au.